Fun In Action was set up in 1999 providing a one-to-one long term befriending service to children and young people from disadvantaged lone parent families in the city of Brighton and Hove in East Sussex. It works in close partnership with families providing support when and where it is most needed. A child who has special needs takes up a lot of the parent's time and they may have a number of children making it very difficult to meet each child's needs. Nearly all of the children that Fun In Action support have a severe lack of confidence and desperately need the opportunities that other children take for granted to explore the world and its possibilities. Each child is matched with a thoroughly vetted and carefully chosen adult volunteer (the befriender) who spends 3-4 hours per week with the child (with a commitment of at least 2 years) with the aim of providing a reliable, caring relationship for the child. The individual befriender days provide friendship at a vital stage in the child's life, and for some it remains with them for many years to come. 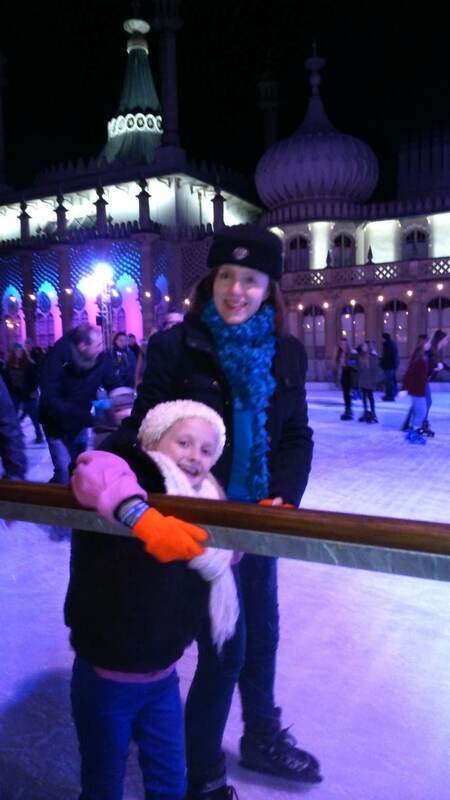 The picture shows Lucy on an ice skating trip with her befriender who has been her befriender for almost three years. They met when Lucy was eight and it has seen her grow in confidence into a gregarious and outgoing 11-year-old, about to start secondary school. Fun In Action also organise group activities for all family members and befrienders in a relaxed atmosphere to strengthen family bonds and provide opportunities for children, and their parents, to form other friendships. The BWCF is pleased to have been able to support Fun In Action since 2008 with a series of 3 year grants to assist them in providing a valuable befriending service to needy children in East Sussex.